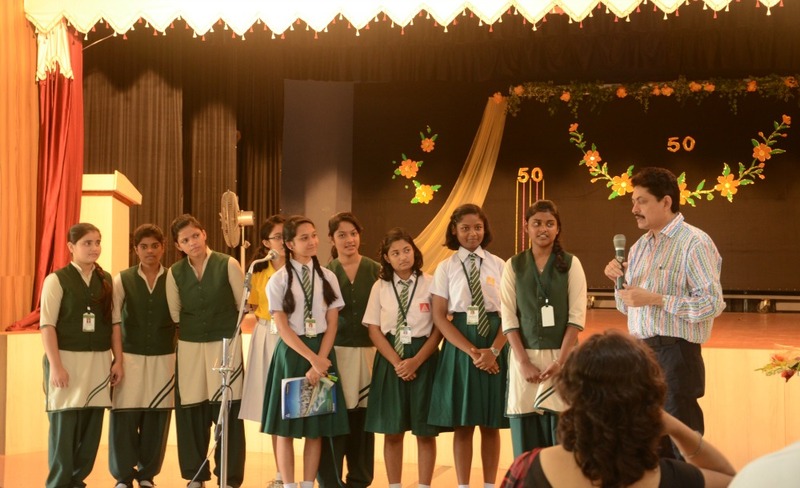 Finally it came true, my year long dream to organize a creative writing workshop for our girls at St Joseph’s Convent School, Rourkela – with none other than Mr Ramendra Kumar, children’s writer and the most animated speaker I have ever met. Mr Kumar gave his consent to spend a couple of his precious hours to interact with and guide our children in the field of creative writing in our Golden Jubilee year. At the outset the author talked elaborately on his passion and his craft, referring to his numerous books and life experiences. After his informative, hilarious, interactive session, Mr. Kumar asked the seventy odd students from standard IX to XII to form seven groups comprising different classes so that there is heterogeneity in their age, and hence, in ideas and opinions. After an hour or so, when the students were ready with their stories and poems, each group was asked to present its write up in front of all, for the purpose of appreciation and constructive feedback, from the other groups as well as from the mentor himself. To ensure that the students’ excitement and interest doesn’t die down immediately after the session ends, one of his novels for children, The Indian Masai, was given to each one of them. They were asked to read it at leisure, write a review and send to him. When the students started their actual writing exercise, he made it clear to them that there would be no prizes, implying, there is NO competition, only collaboration and the joy of CREATION. It is amazing that this Chief of Communications, Rourkela Steel plant, Mr Ramendra Kumar has been able to juggle his profession and vocation with such passion and dexterity. So far he has got more than 30 books (in 12 Indian and 10 foreign languages) to his credit, and these are published by well known publishers like Penguin, Hachette, Pratham, National Book Trust (NBT), Rupa & Co., Children’s Book Trust (CBT), Navneet, Pauline, Ponytale, Pustak Mahal, Vikas and Mangobooks. His website www. Ramendra.in and his Wikipedia page give you an idea about how versatile and prolific this man is, considering the time and attention he has to give to his regular job. Besides serving the steel plant in the capacity of a DGM at a PSU and writing books, he keeps attending and conducting writing workshops and seminars across the country. 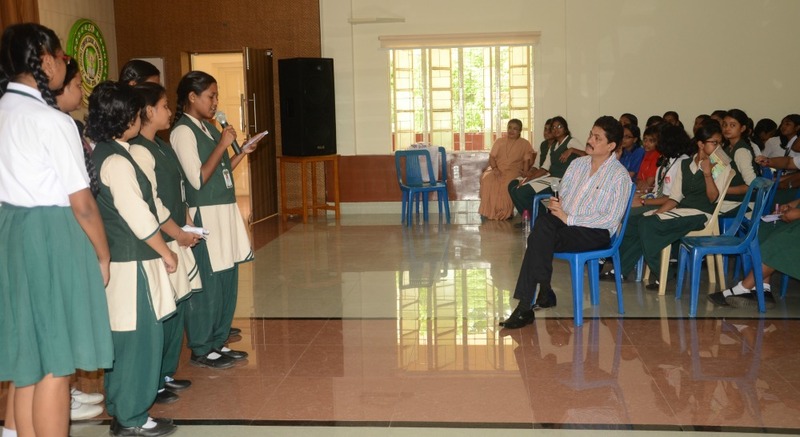 It is not only this creative writing workshop, he has also obliged St Joseph’s Convent School in the past, by being part of a Career Conference in which he spoke about , not IQ (Intelligent Quotient) but PQ (Passion Quotient) as an indispensable requirement when it comes to choosing a career. An epitome of verve and gusto, Mr. Kumar does not keep his little audience ‘spell bound’, rather he makes them do just what youngsters should ideally be doing – interacting, responding with spontaneity, brimming with youthful energy, expressing themselves without any inhibition, and last but not the least, laughing out loud, literally, and not a miserly LOL as on Whatsapp or FB! 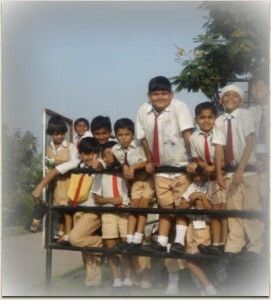 Humour is not only his forte, a natural talent, but also a conscious purpose in life. Another highlight of his writings is a meaningful message. I would like to describe his stories as VAT (Value Added Text) or a rich repast seasoned with a generous amount of humour and a sprinkling of core human values – ideal nourishment for children in their formative years. 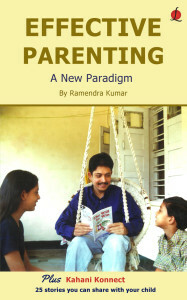 Quite often I am disturbed by the observation that reading and writing as a pastime is on the wane as the ‘idiot box’ has transformed our children into passive suckers and the all pervasive Net has been successful in holding our children hopelessly captive. Mr Ramendra Kumar has been relentlessly fighting this cause of saving their souls by writing stories for them, not from a cloister, but by being an integral part of their world. His passionate participation in the workshops and the effervescent eagerness to stay connected with his young readers is a testimony to two things- his love for children and his indomitable urge to traverse the magical world of words!